We’re all painfully familiar with the creative stagnation of the American film industry over the last twenty years. From cringe inducing remakes to a never ending torrent of predictable comic book adaptations and franchise expansions that offer nothing new or remarkable, Hollywood has made it clear that they’ll take a pass on giving audiences an exciting, unique experience in favor of bigger sales and merchandising rights. Nothing quite exemplifies this like big budget horror. An industry that used to lead the way in terms of groundbreaking special effects, provocative plots, and imaginative cinematography and storytelling, horror has taken a turn towards the timid, appealing to the pocket books of a PG-13 audience with banal, flavorless adaptations of Young Adult novels and the perpetual resurrection of more lucrative franchises from the 70’s and 80’s with an unfortunate Millennial friendly twist. I’m all for seeing a new take on a classic monster but simply pandering to a younger audience to milk a little more cash out of an already overused trope is becoming nauseating. Meanwhile, writers and directors in the field are turning away from Hollywood as it turns its back on them. Inspired, imaginative, and genuinely innovative filmmakers are setting sail for distant shores with independent film festivals and incredible foreign releases. 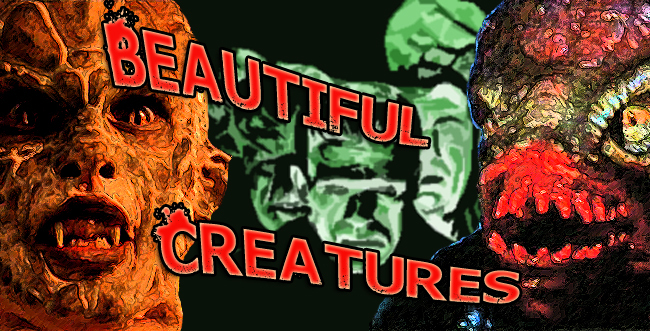 Hell, some of the best, most original horror has come from outside of North America in the last twenty years. From England to New Zealand, Africa to Korea, the whole world is busy being scary. Don’t believe me? That’s okay, I’ll show you what I mean. This one might just rip your heart out, literally and figuratively. South Korea has a rich cultural history, a thriving social and economic structure, and lives in the impending shadow of a world ending confrontation with the neighboring North. Train to Busan uses all of this to tell us a story about a workaholic single father named Seok Woo struggling to make a dramatic change from self-centered stock broker to genuine, selfless hero dad to his daughter Soo-an. I’m not going to lie, for the first half of this movie you really feel like you can’t wait for this dude to die because, honestly, the kid would probably be better off, but (SPOILER ALERT!) when he does you feel like hell and want to cry with her. The foreshadowing to the impending zombie apocalypse is present from the opening scene and is pretty constant in the background yet you’re still sort of shocked the minute you see zombie number one as she flops into the floor and turns. Everything about this movie is phenomenal. It takes on the serious tone and timber of a suspenseful horror film and infuses it with a taste of modern Asian business culture and humor. The movie offers you plenty of chances to laugh before you get into the last twenty five minutes or so and it never takes itself too seriously. After all, it’s entertainment. There’s more CGI in this zombie flick than I’d normally enjoy and some of the scenes are blatantly modeled after World War Z as the zombies move like a rampaging swarm of ants becoming a super solid mass. The make-up effects are nothing new to the genre but the actors portraying them will freak you out like you wouldn’t believe. When I first saw The Grudge, the only thing worse than the ghost girl’s blank, painful stare were the jerking, sudden movements of her limbs as she floated over the screen. In Train to Busan, I could genuinely believe that these monsters were reanimated corpses. Despite some of the speed/strength that not having physical inhibitors like pain would offer, the jerking, flailing movements of their bodies gave the impression that they truly were struggling to have control of themselves. You can find medical studies on YouTube where a slight electrical current is put into a cadaver’s nerves in order to move and arm or a leg. It’s a quick, spasmodic twitch that shoots an arm forward then drops it limply back onto the table. It’s exactly the way these zombies move. As for promising new horror, it isn’t just Asia offering us shocking, unnerving new fright flicks. The U.K., Sweden, France, New Zealand, and Australia (just to name a few places) have all produced some great short pieces and feature length films in the last ten years or so. Let the Right one In, Wither, Howl, Wyrmwood, [Rec], What We Do in the Shadows…all movies that have put a new voice to old tropes and created some unique and astonishing original concepts as well. The main difference between modern American horror and horror from around the world is in the story telling itself. We spend the first twenty or thirty minutes foreshadowing the coming terror while getting to know and building a relationship with our heroes. Character development and suspense building used to be staples in Hollywood. Now it seems rare to actually make a connection with any of the people on the screen before some faceless, CGI killing machine gruesomely hacks them to pieces. Good horror has to have an emotional element to it, has to make you feel for the people suffering, or it just isn’t any good at all. It also can’t take itself too seriously. The reason that Evil Dead II is such a huge classic with fans is that it blends horror and humor together in a way that allows you to be scared and entertained at the same time. Train to Busan does the same thing with a lot of witty, sarcastic dialogue and some over the top fights between our human heroes and their undead counterparts. The people on screen aren’t these flat, one dimensional figures who the audience can’t relate to. They aren’t supermen, skilled operatives, or wealthy socialites. They’re regular people doing mundane things thrown inexplicably into an incredible situation. 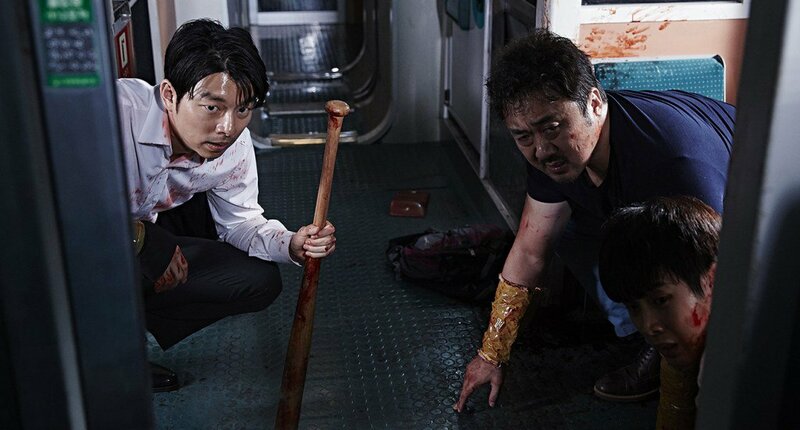 Train to Busan is already available to stream on Amazon and Google and is slated to be released in January for DVD and BluRay. If you haven’t watched it yet, you’re missing out.